As a Solid Fuel industry leader, the Guild of Master Chimney Sweeps recognised there was no protocol for what a sweep should do if they are advised of or if they suspect a Carbon Monoxide (CO) incident. Very importantly, there was no protocol for what a sweep should not do. With this in mind the Guild has produced CO Protocol – Actions and Guidelines for Sweeps. This Protocol is now included in all Guild training courses. The Guild has provided training and advice regarding CO for many years. Members advise customers on CO awareness. Many members supply and fit alarms and the presence of an alarm is recorded on the sweeping certificate for every job. The Guild also makes financial donations to leading CO charity CO Gas Safety and helps promote their work to sweeps and the wider solid fuel industry. There will be occasions where a chimney sweep is called to a house to sweep a chimney and either on the phone, or when they arrive, they are told that someone has been ill with suspected Carbon Monoxide (CO) poisoning. In some cases there may have been a past CO problem but the customer is unaware that this has caused an issue/incident. The customer may provide information to the sweep that simply causes suspicion to arise. Further questioning may increase concerns. It is entirely possible that the sweep is the first person to reveal the realities of the situation. In some instances these incidents should have been reported and recorded so that the claim can be investigated and if there are issues with the installation or maintenance of the appliance, these can be addressed by the investigation authority. If there has been a CO incident / problem, then simply sweeping the chimney or moving baffles etc. could easily destroy valuable evidence and any investigation may be unable to identify / prove the actual cause of the incident. This can affect not only a legal case but also the correct medical treatment for the person who has been exposed. It is important to the industry, and more importantly to the individual and family concerned, that these incidents are fully addressed and inspected. This will allow any failure to follow the regulations or any negligence to be identified so that the responsible individual or organisation can be held accountable. It may also help to prevent future tragedies. The intention of this article and the protocol is to give some actions and guidelines to reduce the number of times a sweep inadvertently changes, damages or removes vital evidence, thereby preventing a proper investigation from taking place. It is not always the case that a professional or landlord has been negligent when a CO incident occurs. There are many reasons why it would not be an issue to clear the chimney and advise the user on the correct operation of the stove and the proper maintenance requirements to help prevent a repeat incident. However, very often carbon monoxide poisoning is not recognized by the medics and is wrongly treated. Therefore, if someone is ill with suspected CO poisoning, it is best to suggest they should be tested to find out if they have been exposed and, if so, by how many parts per million of CO because this will greatly assist a medic to take notice, whereas vague symptoms do not. Testing will also clarify if there has been a CO incident that should be reported. The times when there is a possibility of an investigation into an incident will be following recent involvement of a professional or when the user of the property is a tenant. Below is an indication of the times when consideration should be given to the formal reporting of the incident. Due to the requirements of the Health and Safety at Work Act (and other legislation), the landlord of the property is responsible for the safety of their tenant and the maintenance of any fixed service they provide or maintain. Any incident in a rented property must be notified under RIDDOR (Reporting of Infectious Diseases and Dangerous Occurrence Regulations) and no action taken by the sweep until authorised to do so by the investigating authority. Note this will include private rented, social housing and any holiday lets, including boats, Yurts, etc. If the incident occurs soon after the installation of the appliance then this will almost certainly be a reportable incident under RIDDOR. It may well be that the installation is fully compliant and the user has abused the installation and, as such, has been responsible for the incident; but at the same time there are many parts of an installation and design that can increase the risk of the incident and so an investigation is likely to take place. Issues could be: incorrect flue size (too small or too large), the use of a 90 degree bend and/or long horizontal section, the connection to a damaged and leaking flue, the incorrect or non existent commissioning or even the fact that the customer was not left with the operating instructions. In all these cases the user may have been culpable but had the installation correct and the commissioning and hand-over carried out correctly the incident would not have occurred. If there has been a significant change to the installation such as a new flue liner, alteration to the register plate, the fitting of a new flue pipe or terminal; then this may have had an influence on the incident and would need to be investigated by the relevant authority. In addition to this it may be that the changes have occurred in an adjacent or adjoining property. This could be where work has been carried out on another flue in the chimney or a dormer has been added or some similar alteration that could have made the terminal location unsuitable. Chimneys which are already damaged or somehow deteriorated can be further deteriorated by the sweeping process. Most chimneys are in a constant state of slow deterioration and will eventually reach a point when they are potentially unsafe to use. Masonry can become loose and fall, metal can corrode. The sweeping process can cause further damage to already damaged / corroded chimneys. Deposits left in e.g. a wet chimney can dry out, or dry deposits can become wet and can fall, partially or fully blocking a flue. In addition when servicing a stove the seals can be damaged or incorrectly fitted, as can a baffle plate, grate or brick set. All of these can have an influence on the combustion process in the stove and cause excessive soot or tar formation and so even this can have an influence on an incident. If the occurrence was in a privately owned property and, after a long period of use with no maintenance (over 24 months), or after a similar period of no use when the appliance had been previously used regularly, this is not likely to be investigated. If the installation was fitted 24 months ago and not used but the incident occurred the first or second time it was used, this may be reportable – so seek advice. If the appliance has been in use for a long period with no maintenance then it is unlikely that the incident could be blamed solely on the last professional who was on-site as the user should have had the system maintained. In all situations where you are aware of a CO incident, whether reported to the HSE etc. 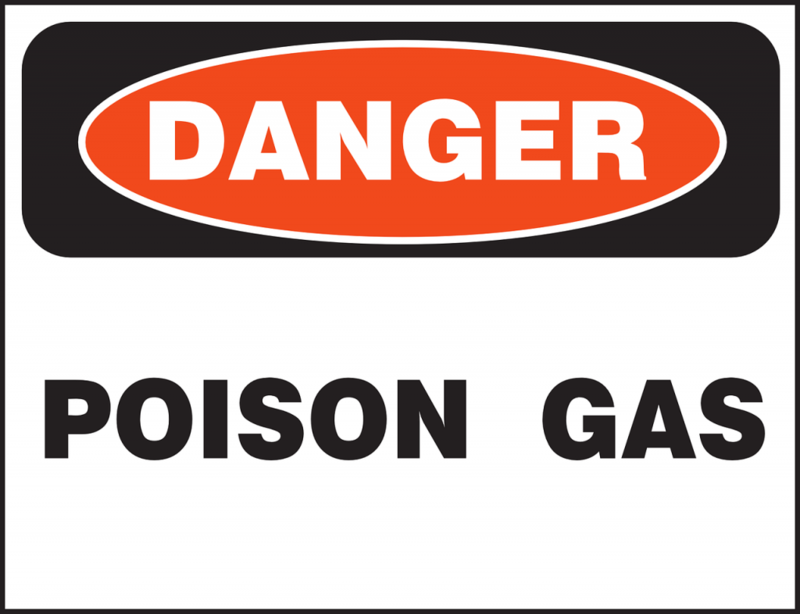 or not, then notify the CO Gas Safety Society to ensure the statistics they have are accurate and up to date. CO Gas Safety is a charity that helps CO victims / survivors and their relatives. The Guild of Master Chimney Sweeps would like to thank Michael Waumsley of Mick Waumsley Consulting Ltd, Stephanie Trotter of CO Gas Safety and Guild Chairman Lawson Wight for their assistance in producing this protocol.